Flying is a stressful experience for all economy travelers. The queue at the terminal is just as long as the ones you could find around most of Euro Disney’s main attractions, and it is just as slow too. People are crushed together, hanging on for dear life onto their backpacks as they approach the boarding gate. And once, you’ve finally made it to the plane, the big race for the storage room starts, and you might find that some earlier passenger has already filled up the storage compartment so that your bag is relocated at the end of the plane. Last insult to your flying trip: You have barely enough room for your legs, or at least you would have room if you didn’t have legs or a neighbour whose elbow is painfully pointing at your ribs. All of this disappears when you start travelling first class. There’s barely any queue at the boarding gate, and you arrive completely stress-free. As you are boarding before the economy class, you know that no one is going to rush you through. On the plane, you will find that the seats are genuinely roomier so that you’ll be able to stretch out your legs comfortably. On long flights, first class travellers are even served better food! If you remember the long, crowded coach journey to get to the airport, you can now forget about it. Travelling with style means simpler and more comfortable journeys. For most travellers, this means getting the car to the airport. Whether you pick a cab if you are not too far, or your car, is up to you. Airports offer now long term parking options that cover days to weeks, during which your car is secured and looked after so that you don’t have to worry about anything. 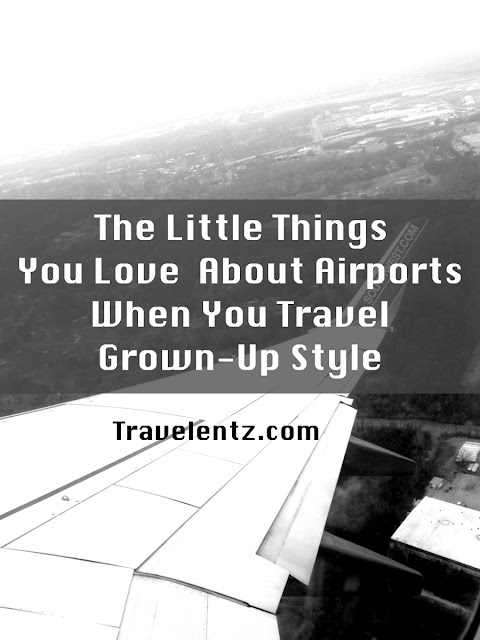 Driving to the airport is, for most cases, an immediate drop in your stress level, unless you happen to fly at a particularly busy time of the day. You’re a grown-up now: The time of homemade sandwiches that you eat at the airport while waiting for your plane is gone. 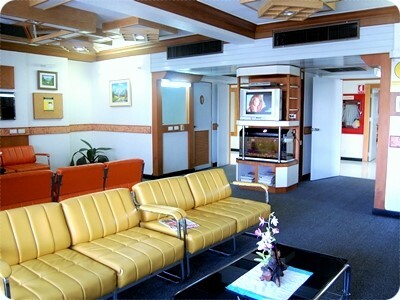 You can now invest in your comfort at the airport so that everything can run smoothly there too. Regular travellers like to get a travel membership that will guarantee quick security screening, lounge access, and even a few goodies too if you are lucky! Don’t think that this is wasted money: After sitting in crowded waiting space at the boarding gate, you’ll soon appreciate the luxury of first class lounges that provide food, room and complete peace of mind while your fellow travellers are sitting on the floor outside with their bag between their knees. Widely acknowledged as one of the most costly cities in the whole world, London is a dream destination for all travellers from across the globe. This stunning city boasts its awe-inspiring tourist attractions, breathtaking scenery, as well as great food and wine. There will never be a dull moment once you spend your holiday in this majestic city. When you are planning your vacation, you can take into consideration London as your travel destination. Definitely, you won't get bored while here, for the city offers numerous things to do and visit. More so, you can opt for a car hire in London to explore various great places with your loved ones at full comfort. Since London is a huge city, be sure to choose the most logical and consistent route. With thorough planning, you can bounce around the city easily. The greater part of the primary sights are really focal, however, don't think that everything is two or three tube-stops away. Your time in this beautiful city is valuable, so don't squander any of it just because you are stuck on traffic. 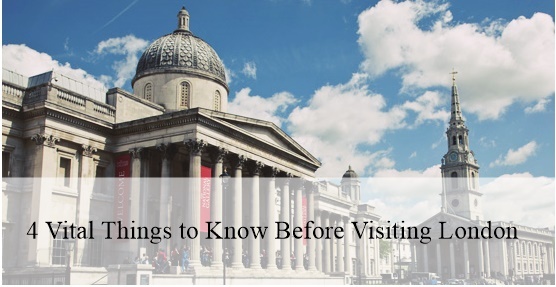 There are a lot of amazing eateries that can be found in London's West End, yet numerous visitor traps are also present hoping to make a quick buck. Thus, you can avoid any risks by simply getting a suggestion from either a nearby companion, the Internet, or your lodging reception. Additionally, never forget to try out the first-rate international food that London is known to, such as sushi and Lebanese cuisine. While driving on a car hire is convenient in London, buses are also a good transport. Wherever you are in this impressive city, you are basically ensured to be a 5-minute stroll from a bus that will take you anywhere you'd like to go. This is also a ton less expensive than getting the tube and many buses run 24 hours a day. Getting around the London transport system can absolutely be terrifying, especially if it is your first time here. Hence, be sure to download the City Mapper application. Apparently, this application utilizes GPS to get you from point A to B easily, offering you a tube, bus, taxi, or by foot routes. In addition, it lets you know how much the fare costs and to what extent it will take you. With the help of this clever application, things will get easier and more comfortable for you. On the whole, London is truly an ideal travel destination for everyone. With its natural beauty and great history, you will surely enjoy your stay here. So, make sure to keep these helpful things mentioned above in mind before you travel to this city. Absolutely, your holiday will be hassle-free, memorable, and one for the books once you plan ahead and spend it with the people you love. In this day and age, the idea of someone being successful is something that should be celebrated. When hard work pays off, it means that someone has achieved their life goals and they have contributed to society in a positive way. When you realize that you have become a success, you should be able to enjoy your success by adding more comfort and luxury to your life. There are plenty of good ways to reward yourself for the success you have achieved. A day on the water can be relaxing and fun, and boats in general can be excellent investments. But if you are celebrating your success, then you should take your boat interests to a higher level and buy a yacht. With a yacht, you get to enjoy the spoils of your success and you can spend plenty of relaxing time on the water. A yacht has plenty of room for your family and friends to come join you in a celebration of success on the high seas. You may decide that you want to reward your success with a luxury home that will keep you and your family happy for years. Luxury real estate in Crystal Lake Illinois is the ideal solution for a successful person who is looking for a comfortable and luxurious place to live. Living in luxury means that you can enjoy the best of everything from a large swimming pool to a private deck with a great view of the landscape. One of the more rewarding aspects of a luxury property is that you get to wake up each morning and be reminded of how much your hard work has paid off. If you and your family love to travel, then you should consider investing in a vacation villa in a luxurious part of Europe. When successful people want to get away for a while, they go to places that most people cannot go. To have your own villa in one of these places would surely remind you of just how far you have come in your professional life and how well you have done for yourself. There is nothing wrong with rewarding yourself for achieving the success you have been chasing your whole life. When you surround yourself in luxury, you are inspired to work even harder and satisfied that you have established a strong legacy. What makes Back Cove boats so popular? The popularity of Back Cove yachts has grown exponentially over the last decade as more people are discovering the benefits of ownership. While dealerships exist all over the world for new boat sales, many people prefer the personal touch of placing their Back Cove boats for sale on online registries. Back Cove boats are designed by two expert design teams in Rockland, Maine. Their most distinguishing characteristic is their straightforward propulsion system that features a single inboard diesel drive line. Back Cove boats have robust systems that are easy to maintain, and feature newly-designed, innovative variable speed DC motors, which allow thrusters to run at any speed. Back Cove boats come with a wide array of options, such as many color choices for the hulls, interior finishes and upholstery. The first thing to remember when preparing a Back Cove boat for sale is that first impressions count. Buyers look for clean, well-maintained vessels. Therefore, special attention should be paid to the bathrooms, bilage areas and engine room. It is also important to clean, wax and buff the boat's hull and deck. The boat should be inspected carefully for any wood damage, which should be repaired or refinished. All lines, should be checked to make sure they are clear of green algae. The lines should be coiled neatly. Any canvas on the boat should also be inspected and repaired or reproofed as needed. All cushions should be removed, and their storage areas should be thoroughly cleaned. The engine should be cleaned, and a bright light should be installed in the engine room. This helps give a better visual impression of the engine and associated equipment. Since Back Cove boats are equipped with advanced electronics, it is important to make sure that each electronic element works properly. They should be tested and repaired prior to putting the boat up for sale. Any cabin or navigation lights that have burned out, should be replaced and tested to make sure they are in good working order. Thanks to the Internet, selling a boat has never been easier. Online registries such as Yacht Registry.net are where experienced boat owners can place their boats for sale or peruse offerings to buy themselves, and have direct communication with the boat owners. The weather starts to cool off and Travelentz's back to hiking. It's been a hot summer at my end and just think about the kids who's not used to it. We hiked different parks already and hopefully we can do two parks this month. There are both good and bad features to take into your consideration while looking for gooseneck horse trailer and other types available. 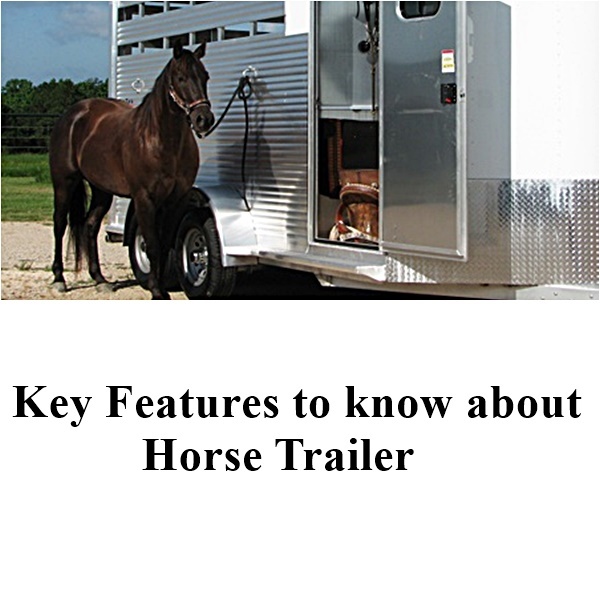 The horse trailer you choose should ensure you safe travel of the horses. One of the reliable online sources to help you choose the right choice of trailer for you horse transportation. Consider if the center divider is safely fixed to open; therefore, the horse can get more room to balance while traveling alone. You may also need an extra clip to join two breeching chains when there is no divider in the center. Moreover, it will also help the horses from not getting their heads caught behind center roof support. Now the window bars with narrow spacing should be taken into consideration, as they can stop horse from putting head or hoof through front window if it is panicked or even in the case of an accident to be thrown forward. The position of the spare tire should also be taken into your consideration, as the rope cant get caught under it. Moreover, filled in A-frame tow bar will stop horse putting leg through, when it tries to pass between the trailer and car. The break-away attachment will activate trailer brakes when the trailer detaches from vehicle. In addition to these things, you will also need something more to hold front door open, especially to stop the door blowing shut. This will also prevent the horse from scaring or getting injured. You should also focus on the type of door latch, which will fold away or stop rope or halter from getting caught on it. The rubber covered ramps are slippery, particularly when they are wet. Therefore, consider extra length of ramp to give a grip and gentle slope. The tie-up points are the other elements to be considered too. Particularly, tie-up points at the back will make a sense than tying your horse separately on sides. This ramp latch will also prove to be safe, especially when kept folded down close to trailer side. Consider enough room space for towing. Ensure if there is enough roof height for horses to tow. Consider the brakes, especially when there is over-ride or that works electrically. Consider heavy duty tyres, solid, sound flooring, which is specifically two layers and of which one is of steel. Consider strong welding and use advanced construction techniques that can improve the durability and longevity of the trailer. If you want to get away from the hustle and bustle of everyday life, you might be considering taking a road trip on your own. A road trip can be the perfect way to get away from the stresses of your everyday life and take a couple of days to wind down and relax. Although many people take road trips with their friends and family, there’s absolutely no reason why you shouldn’t hit the road on your own if you’re feeling like having some me-time. We’ve put together some top tips for making sure that you’re fully prepared for your solo road trip. Making sure that your driving knowledge and skills are up to scratch before you set off on a long road trip on your own is an important thing to do in preparation. Even if you’ve been driving for a while, getting out of the roads that you usually drive on and exploring new areas of the country might require that you brush up on your knowledge of things such as road signs and markings. You can use Top Tests’ website to revise UK driving theory and the highway code. Taking a long driving trip on your own can get very boring at times. Sometimes, there won’t always be an amazing view to wonder at, and you could find yourself stuck in traffic on a busy motorway, for example. For moments like these, it’s vital to ensure that you’ve brought along a collection of your favourite tunes to play to liven up your trip. When you’re driving on your own, you can’t rely on passengers knowing the way to places. Planning out your route before you set off is a good way to help ensure that you don’t get lost. If you have a modern smartphone, you will be able to get applications such as Google Maps or Apple Maps which will help you find the best route to get to your destination and direct you along the way. If you don’t have a smartphone holder in your car or a hands-free kit, it’s a good idea to invest in one before you set off as this will allow you to keep your eyes on the road and drive safely. Before heading off on a long road trip on your own, it’s important to make sure that your car is prepared for the trip, too. Ensuring that you have valid breakdown cover which you will be able to call for assistance if necessary from the areas where you’re planning to drive to is essential. Along with this, having your car fully checked over before you set off, and ensuring that all electricals are working and engine fluids are refilled is vital to preventing any problems with your car along the way. Taking a road trip on your own can be a great way to get away from the daily grind and relax. But, in order to benefit from your journey, it’s important to make sure that you’re prepared for it. If you haven’t been abroad for a long time, why not try India? A land of extreme beauty, India has many hidden treasures, and some not so hidden. Stretching from the wintry Himalayas to the tropical climate of Kerala, there is more to it than just wonderful food. From its landmarks to the people, India has a wide range of culture. You can cross paths with many faiths and colours. You can get caught in the hustle and bustle of city life one minute and encounter calming rituals the next. Have a look at some of the things that you can get up to there and see if it tickles your fancy. If you are looking for a place to enjoy what nature has to offer, walking over these majestic mountains has to be done! Triund also offers spectacular views of the Dhauladhar ranges, the southern part of the Outer Himalayas. Camping out under the stars when encompassed by such wonder is something you need to do. If going to an underwater paradise sounds like heaven to you, then it really must be seen to be believed. Experience beautiful coral reefs and mingle with mammals and fish. Swimming has never been this magical before. Mumbai is the city that never sleeps. Get into the party spirit by going dancing in its many nightclubs and live like a Bollywood star. Get yourself some chai and start dancing! Looking for peace and harmony has never been easier when surrounded by the wonderful green trees and running streams of Kerala. And if you are a wildlife enthusiast, Kerala has plenty on offer to keep you excited! A trip to India can’t be done without sampling the wonderful cuisine. With thousands of restaurants, Jaipur is one of the key places in India to experience a wonderful curry or thali. Just be careful of “Delhi Belly”! Have a look on the India travel forum to get some advice from people who have previously been adventurous in that area. The festival of Holi, also known as the Festival of Colours, is an amazing way to get into the party spirit, and Mathura throws one of the best parties! Lasting two days, you will definitely be partied out by the end! A trip to India cannot be complete if you have never seen the Taj Mahal in all of its glory. Based in Agra, it is the seventh wonder of the world! Walk around the 42 acre land and marvel at the beauty of the mosque and the luscious gardens. This monument to love has to be seen to be believed. More information can be found on other websites if you are looking for honest opinions about hotels and transport, and can get helpful advice from people who have been there before. But if you plan on going, why are you still reading this? Go, and enjoy! Eat the food, view the beauty, and life the life in India. Why speaker is so important to have? Well, if you are like me who loves listening music,you would like to invest a bass speaker to enjoy and appreciate it. Whether you like it or not having a good speaker will makes more music interesting because of the sounds that you hear. My husband likes to have a quality speaker at home and I don't disagree with it as its the core of the music.You can tell a big difference once you have a good speaker. You saved your money, taken time off work or from school, booked your flight and planned out your whole itinerary, but how do you share your adventures with friends and family while your on the road? Well, you won't have to rely on postcards, that's for sure, though you still have that option. Technology has changed the ways people connect, but what are the best ways for the travel savvy? Here's a look. Just because you don't have to rely on postcards, doesn't mean you shouldn't make use of them. Postcards may be antiquated, but there's still something about postcards that seem more meaningful, sincere and authentic than a simple email. The time and care you take when you send a postcard really lets the person know you've been thinking about them. Postcards aren't a one-size-fits-all message either. There is no CC or BCC with this medium. You'll have to address each one individually and tailor your message for each individual. While this isn't the most efficient long-distance communication technique, it may still be the most intimate. Smartphones have made the world a smaller place in a matter of years. You no longer need to lug a laptop computer, nor do you need internet cafes or calling cards. However, it's still a bit tricky if you travel aboard with a smartphone. Most carriers only allow nation wide coverage and charge steep roaming fees for those who get caught out of the country. There are two options, since your smartphone is your most valuable tool while on the road, you can pay full price which is typically a $10 per day charge, plus data fees, or you can unlock your phone and use a foreign company's sim card. However, this only works with phones that still use sims. Verizon does not, T-Mobile still does. For instance, the LG G5 is perfect for travel on the T-Mobile network. Not only can you unlock it for your trip abroad, but it has interchangeable memory sticks and batteries. Now, an unlocked device sounds dicey, but your carrier can actually help you unlock it. Once unlocked, you can get a new sim card from the foreign carrier of your choice. This takes more planning as well as some savvy, so give yourself a chunk of time to figure it out if you've never done it before. Even with a smartphone, you may want a computer or tablet with you on your travels. While programs like Skype and Google Hangouts have user-friendly apps, Apple devices have FaceTime pre-loaded on all their mobile devices. Each of these options has a different interface, but they're all great ways to video chat. However, Skype differs in that it has a way to call mobile and landlines either with Skype Credit or a subscription service. Skype also gives you the option of purchasing a phone number for you account so that people can call you from a phone and your Skype will ring. This can eliminate your need for a fully functional phone while you're abroad, though does put some limitations on you. With all these options, there's no reason you can't check in with mom and dad, while off the beaten path. Family vacation is the most wonderful things you can give to your children, then expect the unexpected when you are in vacation. As much, we want to have a perfect vacation,there are little things that will ruin our moods. Keep in mind, this vacation wasn't the best days we spent in Fort Walton Beach, I have sore throat ( my body was fighting something) and Little Travelentz's had temperature in our second day.Glad to say, my in-laws are easy to be with. Every one wants to go in the beach during summer to enjoy the sea, sand and sun.When you hear, summer, it's peak season and expect crowds even you're in the beach.Fort Walton Beach has things to offer for all ages and it's more family friendly than I thought. Day 1:Arrived in Fort Walton Beach Florida. After 6 hours on the road, we finally arrived in Fort Walton Beach,Florida. Though this is my first time to be in Fort Walton and so my in-laws. Travelentz's stayed in Fairfield Inn & Suites Fort Walton Beach, which was an ideal place to enjoy the beach.It's one of the hotel that has an oceanfront view and stayed for 3 nights and 4 days has it. Summer time is a peak season and we are fortunate to get this room even at the last minute. Sea,Sand and Sun,we arrived at the descent time, the sun is strong and I have a sore throat in this vacation.Little M was excited to play in the sand to build a castle and find some shells with her grandme. Dinner Time: My family loves to eat seafood so we dine-in at AJ's Oyster Shanty,Fort Walton beach for dinner.We take our time to enjoy and stroll the beach after dinner. There are things to do in Fort Walton beach for all ages.Second day, my sore throat was worst and the worst thing I did not get any happy hour. We have breakfast at the hotel and enjoy the company of my in-laws. Having an oceanfront room makes a big difference as I see the waves and enjoy watching from our room.I don't have to rush myself to go in the ocean as I see it from my room. Driving around Fort Walton Beach and checked what's out there. My daughter saw the mini Golf and asked to play.We stopped at the Liza Jackson Park and let Little M play in the park.With the age of my in-laws, walking and standing for long time is a big hindrance for them. We decided to headed, Destin and had a late lunch at Panera. It was crowded and Little M's running a temperature.Too much excitement for a day, we ended-up staying in our room for the rest of the afternoon and monitored my daughter's health condition. Dinner at Old Bay Steamer,Seafood is just around the corner from the hotel we stayed.The food was excellent and highly recommended if you love seafood like I do. Hubby and I had a chance to watch fireworks for 4th of July. First stop was in Henderson Bch State Park. Lunch at Jasmine Thai then headed shopping with my MIL. To make it short, My MIL and I went to our favorite store then headed back to our hotel. Late afternoon, decided to played mini-golf with the family.After the game, we all decided to have dinner at Sealand Restaurant. I was exhausted so ready to go home. After breakfast,we started to packed up and hit the road.It was quite different from our vacation, one thing for sure,I created memories with my bundle of joy. My daughter outgrow her violin so I have no choice and need to buy new instrument for her and I came across with the musiciansfriend.com offers free shipping that would saves my time going to the store. As much as I love my daughter learns playing violin, it also important to have a right size of violin at her age.This will be her 2nd violin, hopefully she can used it for a year before buying a new one. When you go on trips, do you like to record tons of videos so that you can look back and remember all the special moments? Most people nowadays take quite a lot of videos when they travel using mobile phones or digital cameras – but instead of just uploading some (or all) to social media when you get back, why not use the footage that you record to create your very own travel video? If you’re worried that you lack the skill set to create a video that looks good – don’t be too concerned. All you need to do is enlist the help of Movavi Video Suite and you’ll soon see that it is a lot easier than you feared. 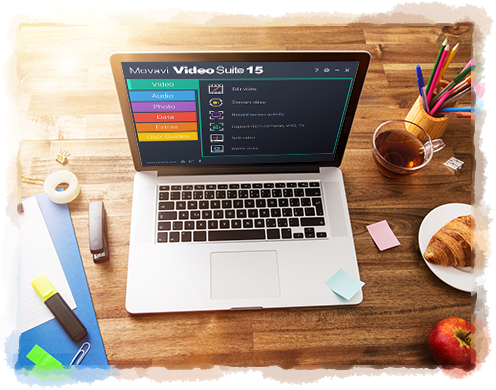 To get started, you should add the video footage that you recorded to Movavi Video Suite. It is very versatile, and will let you load clips that you recorded on your mobile phone or digital camera, and even add photos that you can use as part of a slideshow. If you want you could also make videos by grabbing additional footage from your webcam, recording your screen, or digitizing VHS tapes – but that isn’t likely to apply in this particular scenario. Trim out any unnecessary bits and pieces from your videos and extract only the parts that you want to use in your travel video. Combine the various clips and segments together in the sequence that you want them to appear. Correct any issues with the recording such as blurry, shaky, and interlaced or pixelated video segments. Enhance the quality of the video by adjusting the color settings manually or using the automated enhancement features. By the time you’re done processing the video footage, the shape and form of your travel video should already take shape. The next thing you need to do is use Movavi Video Suite to give it a bit of flair and polish. Within Movavi Video Suite are tons of features that can help you do just that. If you want you can apply various special effects and filters, add background music, insert customizable text, include animated transitions, and much more. The best way to proceed is to try out Movavi Video Suite and play around with its features. After several minutes you’ll be able to familiarize yourself with them and get a feel for what they do – so you can then apply them and start to create your very own travel video. Instead of leaving your deck with no access point, consider building stairs that are attached to one side. 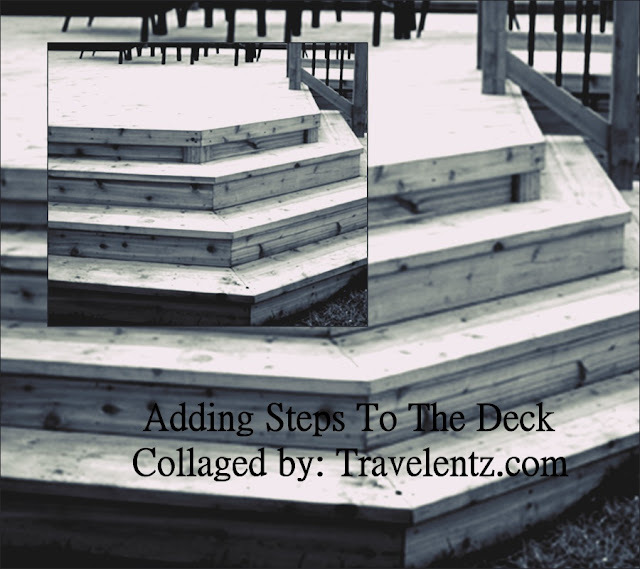 Steps for a deck are easy to install. There are various designs that you can add based on the design of the deck and the function that you need, such as steps that are larger and farther apart for those who have difficulties walking. The first thing that you want to do is enlist help. This could be from a contractor or from friends and family who can help you hold the pieces of the steps in place while they are being put together. You also need to determine the size of the steps that you need so that you can get the proper materials. It's best to get wood that is too large and cut it down instead of getting pieces that are too small. This would mean that you need to get more pieces of wood, causing you to spend more money on the project. Another aspect to consider is where the steps will be added. Most decks are attached to an entry door of the home. You want to add the steps at a point where it's easy to access them from the yard. Determine how large the steps need to be to hold the number of people who will be using them at one time. You will then need to determine how many steps will be needed from the platform of the deck to the ground. Larger steps often give a grand appearance compared to smaller steps that offer a contemporary look. When you begin building stairs for a deck, think about whether you want them to have a design on them or if you simply want pieces of wood attached to each other so that you have a way to get from the ground to the deck. Try to get treated wood so that it's protected against the weather and splintering. However, if you can't get wood that's treated, you can get products to apply that will do the same job. Match the wood used with the steps to the wood used for the deck. It might be best to stain the entire deck and the steps at the same time so that there is a uniform appearance. Whether you hit up the beaches of Florida or the golden sands of Greece, a holiday near the beach is the most enjoyable kind. Many exotic tourist locations offer hotels and resorts near the beach, putting you within walking distance of the sand and sea. You can soak up the hot weather and get yourself a tan, but there’s plenty of other things to do while you’re at the beach. Here are some of the ways to get the most out of your beach holiday. Beaches are rife for sports. You could take a Body board, or even get some surfing lessons. You can also hire a motorboat to try out some watersports. Some places offer wakeboarding or banana boating. You can even buy your own Watersports Accessories for a fun way to glide through the water! Beaches often also offer kayaks and jet-skis for hire, so there’s plenty of things to do in the sea. Make sure you get out onto the water in one way or another, it can be a great way to cool off! You don’t need to hire a boat to get in the sea, all you need is a bathing suit! Swimming is one of the best ways to enjoy the beach. Heading into the ocean and getting your front-stroke game on can be incredibly soothing. Swimming can actually be one of the best workouts. The best thing about it is when you’re swimming in the ocean, it won’t even feel like you’re exercising. It’s just that cool and relaxing. Remember to keep safety in mind when swimming in the ocean. It’s best to stay close to shore and within sight of whoever you’re with. Also avoid swimming too soon after eating, and especially after drinking alcohol. Still, enjoy yourself and be sure to take in the cool breeze of the ocean waves! One of the best ways to enjoy the beach is to take some great food. Grab a picnic basket and blanket, fill your basket with a tasty lunch then enjoy it under the hot sun! You can even bring a beach cooler to store your drinks and keep them icy cold. It’s hard to beat the feeling of quenching your thirst with a nice, cold drink on the beach! There are plenty of fun games you can play on the beach with a few friends or family members. You could take a frisbee for a casual throw-around. Sometimes all you need is a ball. Taking in a bit of beach volleyball can be a fun way to do some sport and get other people involved. Even football is a fun game to play on the beach. You don’t need nets or goals either, all you need to do is draw some lines in the sand! Whether you enjoy the sea, some games or just relax and read a book, enjoy yourself. You probably won’t have access to luxury beaches all year round so make the most of it while you can!